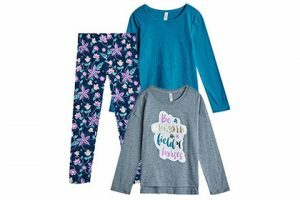 Pley allows your kids to enjoy a variety of creative and educational activities with the toys, accessories, and other fun items they receive in their Pley subscription boxes. 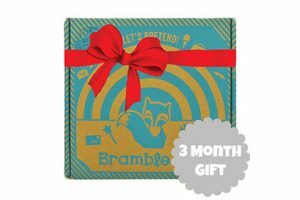 The company offers two types of boxes for children of different ages and personalities. 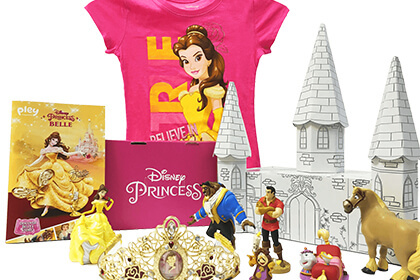 The Disney Princess box is designed for little princesses aged 4-9 and includes 4-8 beautiful figurines, fashion accessories, and engaging activities. The boxes are delivered every 2 months. You can purchase 1 box at the price of $24.99, 3 boxes at the price of $23.99 per box or 6 boxes at the price of $22.99 per box. Subscriptions are automatically renewed until you decide to cancel. Shipping costs amount to $5. The National Geographic Kids box is designed for little adventurers aged 5-11 and includes lovely accessories and carefully selected activities that allow children to explore our world and the wonders of nature through an adventure that takes 5-10 hours to complete. Purchase 1 box for $19.99, 6 boxes at the price of $18.99 per box or 12 boxes at the price of $17.99 per box. The boxes are delivered monthly and subscriptions are automatically renewed. The shipping fee is $4.95. If your little ones treat their toys right and know how to share, you can rent and return toys from Pley’s collection of more than 500 amazing items for children aged 0-12. Once you subscribe, Pley donates one box to an orphan, so you get to help others while making your child happy. Our ratings are the result of an objective and independent evaluation of Pley, generating the final rating that reflects the overall quality of the product. Ratings may change as the service changes. No user reviews yet! Be the first to review Pley. There’s no Pley coupons or discounts right now.